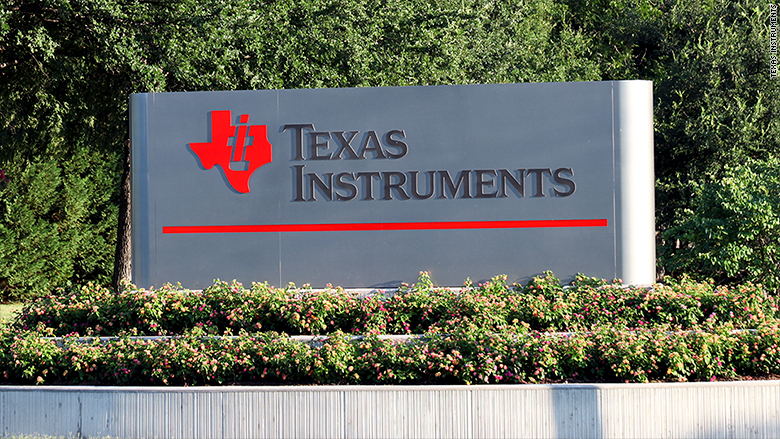 Texas Instruments says its CEO has resigned because of personal behavior that violated the company's code of conduct. Brian Crutcher, a 22-year veteran of the company, just took over as CEO last month. Texas Instruments (TXN) had no further comment. Crutcher also resigned as company president and as a member of the board. Rich Templeton, the chairman, will take on the roles of president and CEO indefinitely. TI said the board is "not searching for a replacement." Templeton was CEO before Crutcher took over. In an email to employees, Templeton acknowledged the news was "unexpected" and said the company is committed to "conducting business ethically and behaving in a professional manner." "When we uncover situations of concern or policy violations, they will be investigated and addressed quickly," he said. "This applies to everyone at TI, including top performers, top executives and most importantly to the CEO." Texas Instruments, best known to many people for its graphing calculators, is a semiconductor manufacturing company based in Dallas. A string of top executives have been ousted over violations of company policy in recent months. Earlier this month, Barnes & Noble (BKS) fired CEO Demos Parneros. The company did not announce a reason for the firing, and said only that the CEO was not let go because of any disagreement about "financial reporting, policies or practices or any potential fraud relating thereto." And in June, Intel (INTC) CEO Brian Krzanich resigned after the company learned of a "past consensual relationship with an Intel employee." "An ongoing investigation by internal and external counsel has confirmed a violation of Intel's non-fraternization policy, which applies to all managers," the company said in an announcement.